Motorola Android devices are always little bit tough to root. But, don’t worry, here we are providing the easy tutorial for you to root your device. 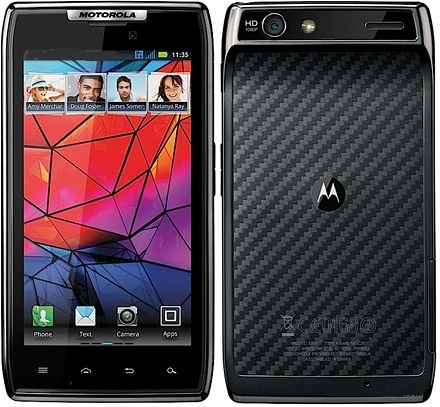 In this tutorial we are going to see how to root Motorola Droid Razr XT910. If you are newbie and if you don’t know what is mean by rooting then know that from here. Rooting is similar to running the programs as administrators in Windows, or running a command with sudo in Linux. Once you rooted your android device, you can run more apps (like backup or tethering apps). Further you can flash a custom ROMs to your phone. Actually this custom ROM adds more extra features to your phone. So, you can use your phone in a full-fledged manner. If you doesn’t root your device, you can just enjoy the features what the manufacturer has provided. Now-a-days, we are using the smart technology especially in the smartphone. So, unless rooting your phone you cannot enjoy its smart features. So, we always advisable to root your phone. But keep in mind that if you root your phone, the warranty of your phone get void. But don’t worry you can get them back once you applied the official firmware or stock firmware or else by doing unrooting. So, let’s see how to root your Motorola Droid Razr XT910. The best part of this tutorial is FrAsErTaG. It doesn’t just give us the rooting process for one Android version instead it gives for two versions. Yes, whether if you are in ICS version or Gingerbread version, you can follow this tutorial. The rooting method for ICS installs Superuser and Bootstrap Recovery. But unfortunately, this method is only available for Windows users only and not for other operating systems. So, you have to wait patiently until the developers release it for other versions too. The given below procedure is applicable one and only for Motorola Droid Razr XT910 smartphone. So, don’t try this in any other android device. Kindly check your device’s model number by following the path “Settings>About Phone”. The first and foremost thing you have to do before try anything newly in your device is backup. First backup all your datas completely which was available in your smartphone. Because, rooting may wipe your datas completely. So, if you already have a backup of those datas you could easily recover them. 1. To Backup SMS in your smartphone use SMS SyncUp app. 2. To Backup Call Logs follow this tutorial : How to backup and Restore Call logs. 3. Images, Songs, Videos and Files : Copy them to internal/External SD card. 4. Contacts : Sync them with the Gmail application. Or else just try this app (Super Backup) – This will backup everything in your android phone. So, once you have backup everything next you are required to check whether your Motorola RAZR XT910 smartphone is fully charged. Or else just check whether, it have minimum of atleast 70%. This is important because, if your device battery is low there is a chance of your device getting switched off. If you don’t know how to check the battery percentage then follow the tutorial which we have given in the given below box. 1. Just dial *#*#4636#*#* and it will come up with four options -Phone information, Battery information, Usage statistics and Wifi information. 2. 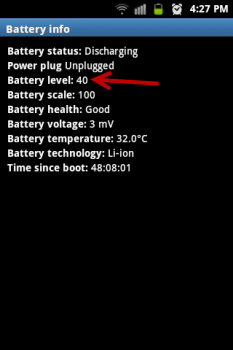 Tap on Battery information and it will show remaining battery level along with other related options including battery temperature, time since boot and battery health. 3. You can also use third party apps such as battery widget, battery solo widget or any other similar apps to know your battery usage percentage right on your home screen. 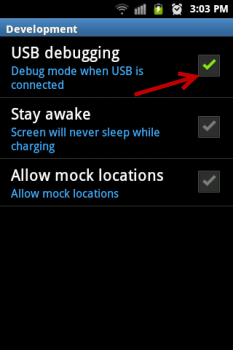 Next again check whether the USB Debugging option in your smartphone is enabled by following the path “Settings > Applications > Development > USB debugging”. After that again enable the installation from Unknown Sources. Then download and install the Motorola USB Drivers. Finally, disable or uninstall all the antivirus suites in your Motorola Droid Razr XT910 smartphone so, that it won’t interrupt the rooting process. DISCLAIMER : The procedure given below is considered to be risky. So, try them at your own risk. Please do not attempt anything unless you don’t know what exactly it is. Best android blog would not be held responsible/liable for anything if it goes wrong. First, download the Zergrush V2 by DoomLord file from here to your computer. So, once you downloaded the above mentioned file, extract the contents of the package using 7-zip, WinRAR or any other archive extraction program. Then connect your Motorola Droid RAZR XT910 smartphone to your computer via USB cable. If your phone prompts you for PC companion, simply dismiss or skip it. Go to where you extracted the contents of DoomLord’s Zergrush package and double-click on the runme.bat file to run it. Then sit back and wait for the procedure to complete. That’s it. Now, your Motorola device is rooted. Congrats! Now, download the Root ICS+ package from here to your computer. Then extract the contents using 7-zip or WINRAR. Next go to where you extracted the contents of Root ICS+ package and double-click on the run-windows.bat file to run it. Sit back and wait for the procedure to complete. That’s it. You’ve done. Now, you should have root on your device. Congrats!